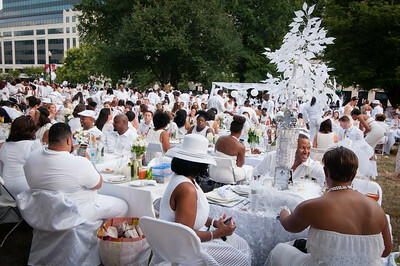 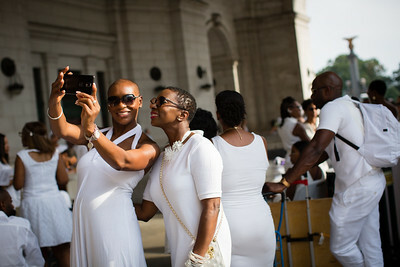 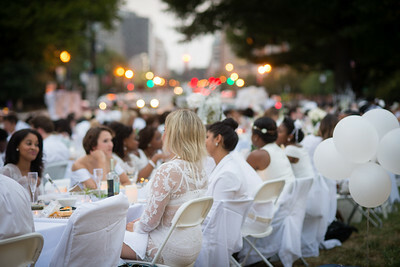 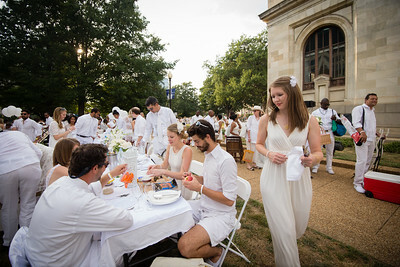 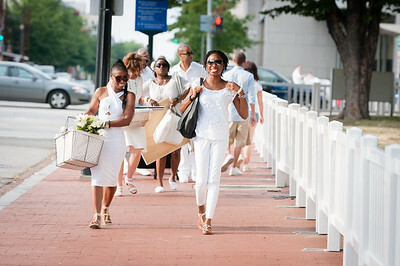 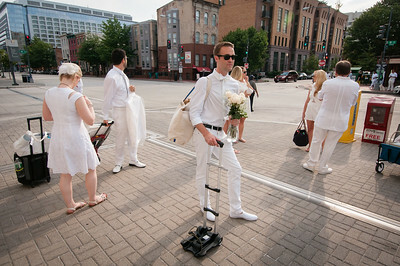 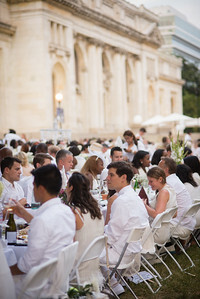 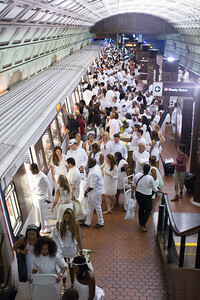 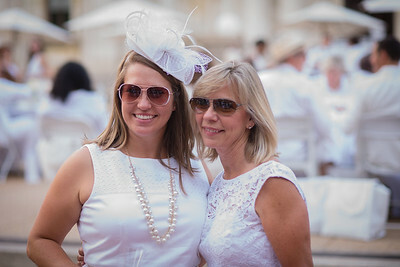 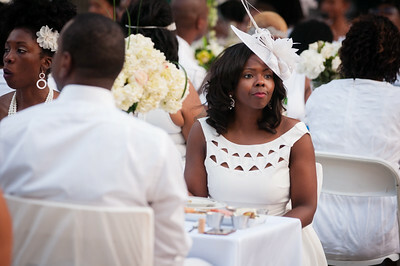 More than 2,500 people attended Washington D.C.’s second annual Diner en Blanc Saturday evening, August 29, 2015. 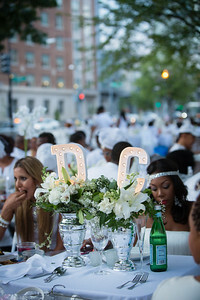 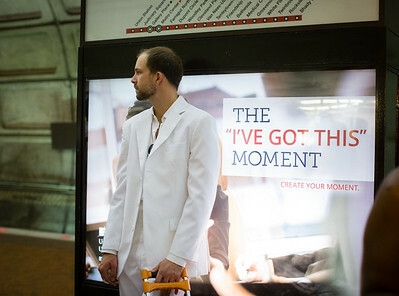 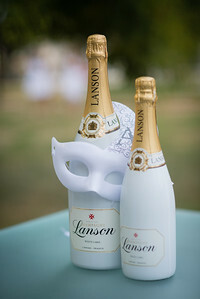 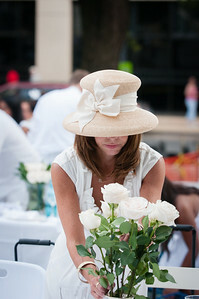 Diner en Blanc is a secret dinner party that encourages participants to dress in white. 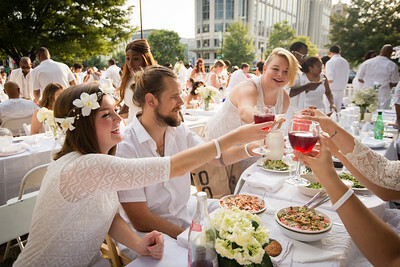 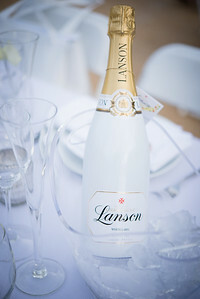 Guests were required to bring a table, two white chairs, a white tablecloth, a picnic basket of fine food, proper stemware, and white dinnerware. 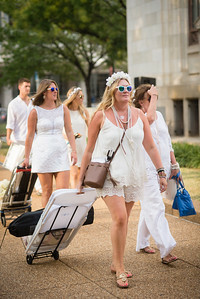 The guests gathered at staging areas all over D.C. Saturday without knowledge of their final destination - the grounds of the Carnegie Library at Mount Vernon Square. 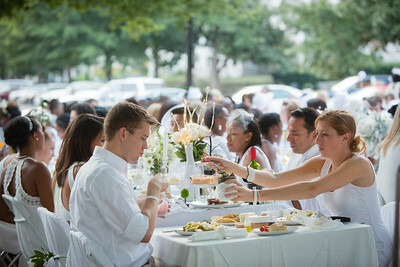 Groups converged on the square and set up their place settings for a fine dining experience in the great outdoors. 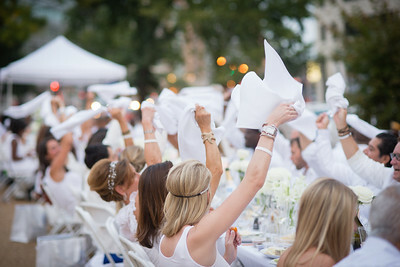 Dinner started with the traditional waving of the white napkins and concluded with a ceremonial sparkler lighting. 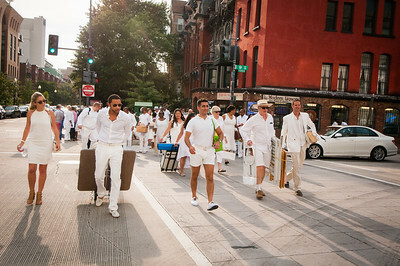 Then the dance party began!